Like a baby, the garden is in a constant state of growth and change now and each day’s walk-about reveals something new. 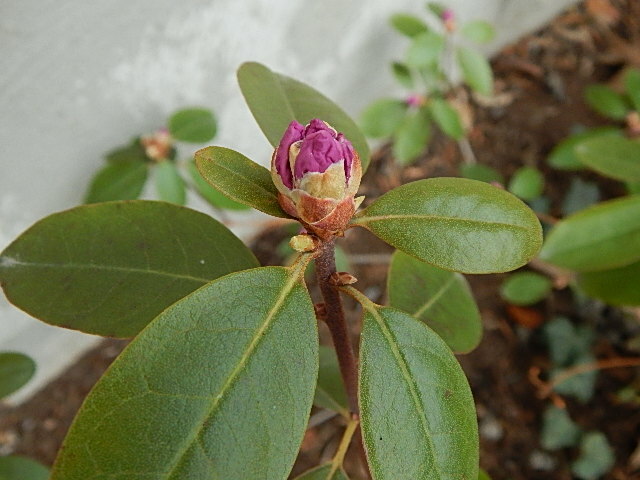 On a windy, feels-like-a-lion Sunday in late March the rhododendron, compact buds just a few days ago, are beginning to bloom. 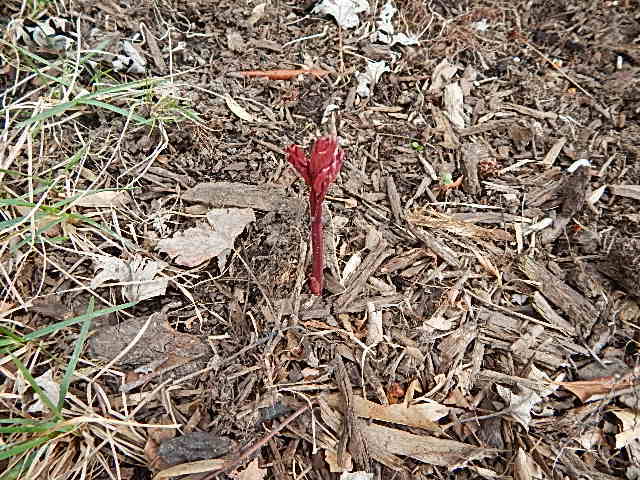 And I scouted a lone peony emerging. I imagine there were peonies in the yard at one time and this is what remains. I moved it last year to what I think might be a more suitable location and thereby improve its odds of developing beyond the lowly spike you see here. Categories: Musings | Tags: peony, PJM rhododendron | Permalink. My St. Louis yard may appear as though it is still in the grasp of winter’s clutches, but don’t be fooled. Signs of spring life abound. Who cares if the forecast is calling for freezing temperatures and possible snow? My evening walks and apres-work yard clean up tell another story. 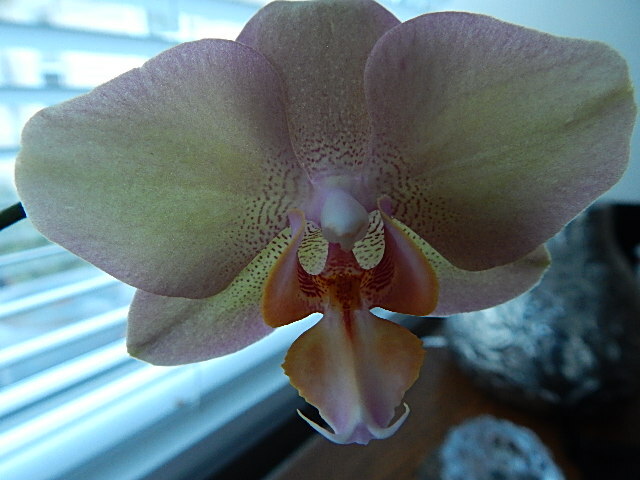 The week started off on the right foot–my orchid, the one I have been babying along, finally bloomed! 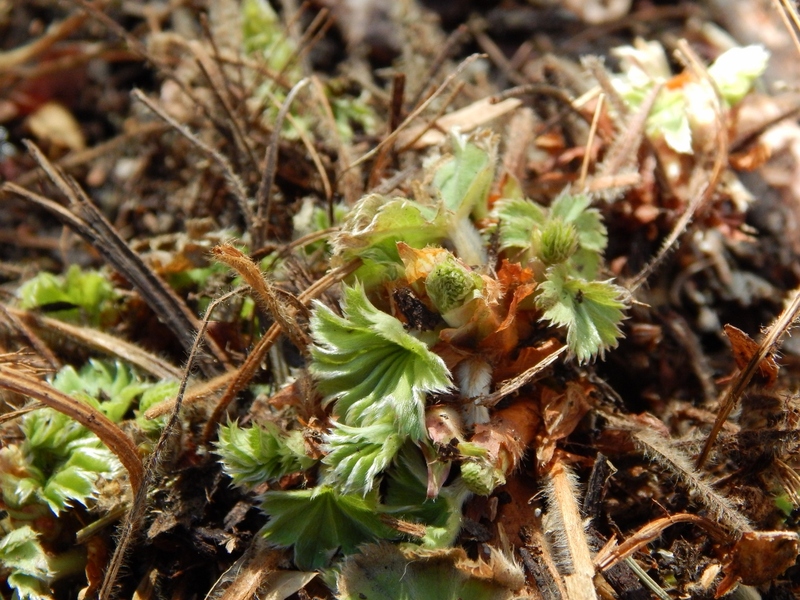 Those who read this blog may remember my post written three months ago in the depths of winter in which I noticed small buds on the once graceful stems. 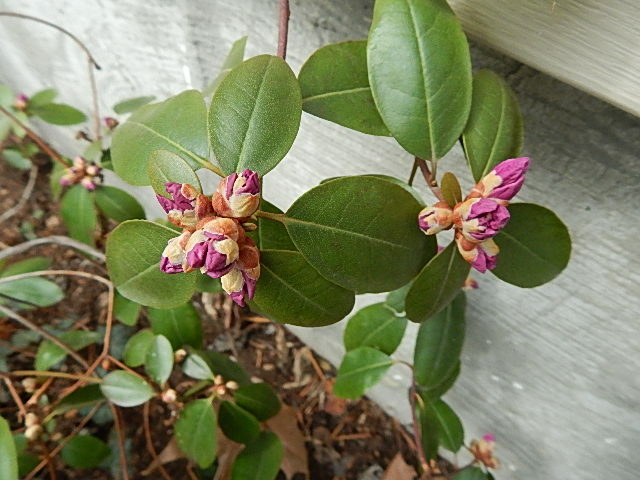 I have been watching the buds swell, but in my comings and goings did not stop to take a picture. But whoa, I slowed down on Monday, when I saw she was blooming! The spirea in the bed in front of the house is starting its little show. I wish I took a picture the other day when the leaves were just popping, because they were orange. They’re now yellow, soon to turn green and then to be covered with pretty pink blooms. 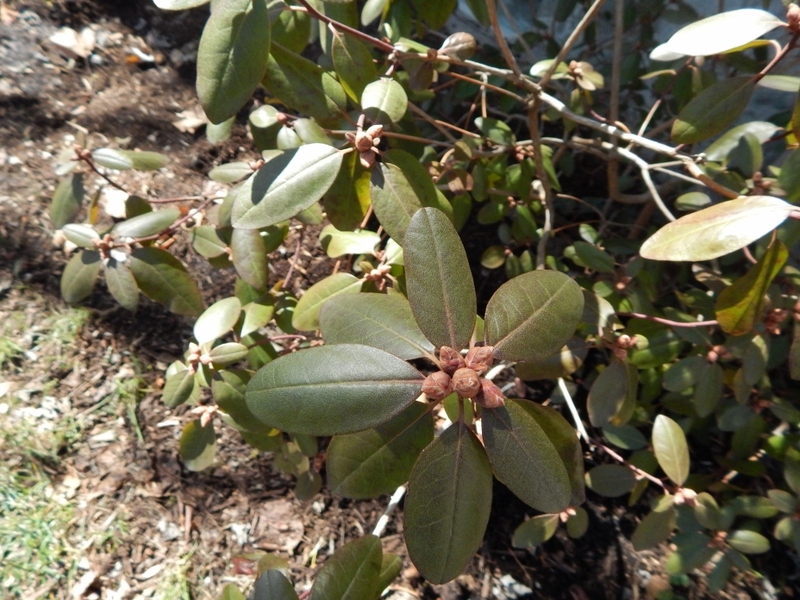 The Grumpy Gardener (Steve Bender) proclaims this a trash shrub, placed in parking lots across America, but I have grown to like it. 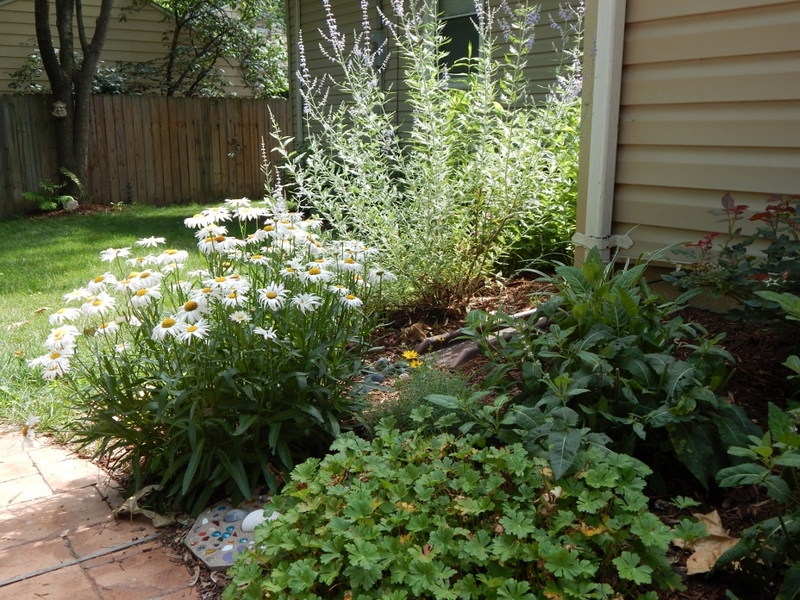 It is extremely forgiving, virtually indestructible and drought tolerant. And it came with the house. 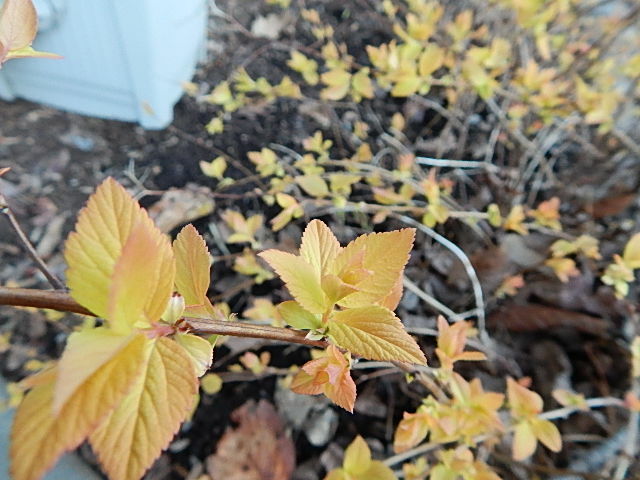 There is still a bit of orange to the spirea leaves. This guy is quickly emerging. 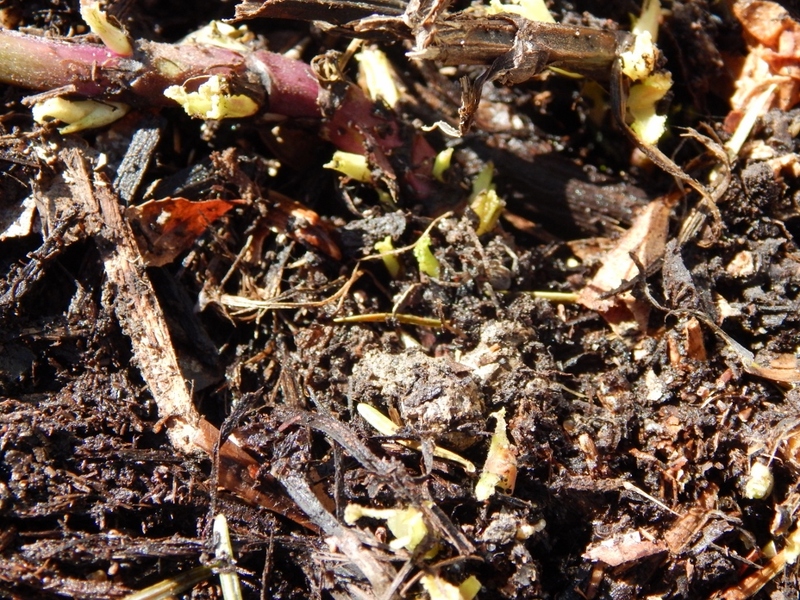 Of course, these signs of life have motivated me to get out of the wingback, turn off the TV, grab the rake when it’s not raining and continue clearing the beds. Here’s what’s been lurking beneath the blanket of leaves. 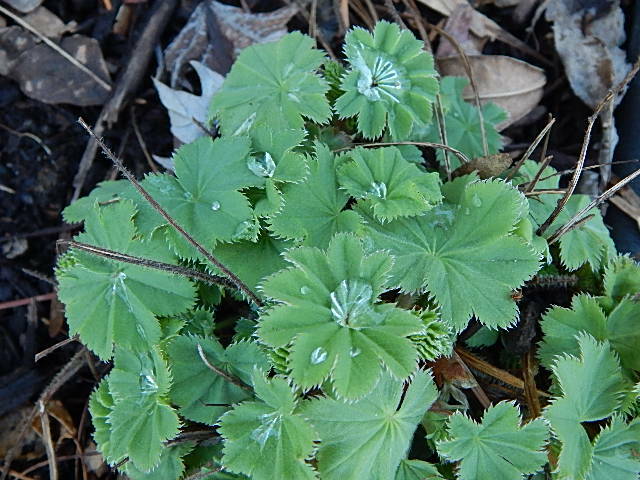 Lady’s mantle “Goldstrike”. 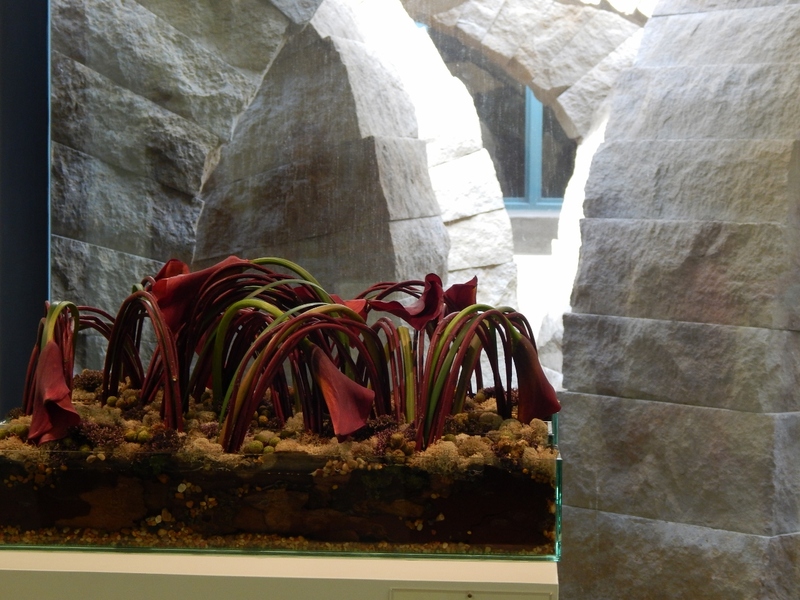 This plant has more than doubled in size since it began emerging last week. Planted in the garden last year, I think it may exceed my expectations this year. Chinese astilbe “Visions”. 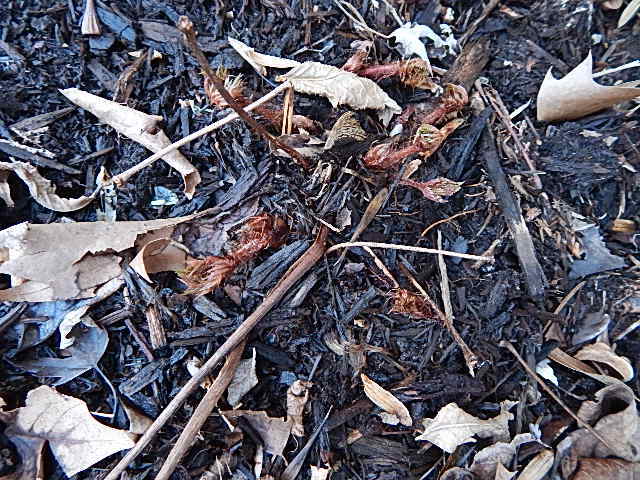 I like the way the leaves unfurl as astilbe emerges. Tall garden phlox. 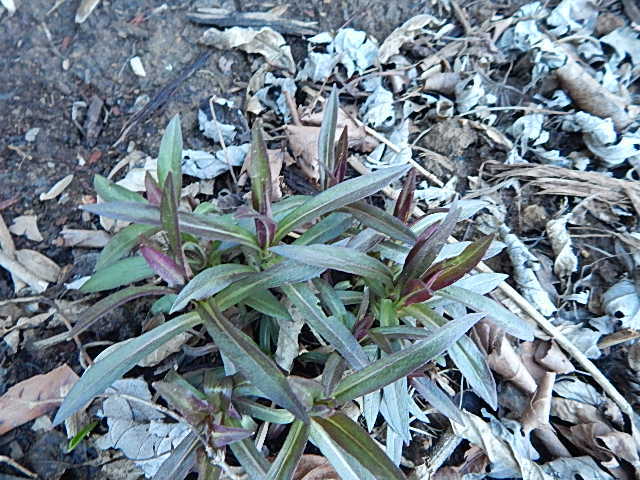 I rearranged the bed in the fall and am surprised at how quickly they are coming up. Tulip poplar in the front yard. All around the area signs of a lovely spring are emerging. We’ve had quite a bit of rain and warm temperatures to coax things along. 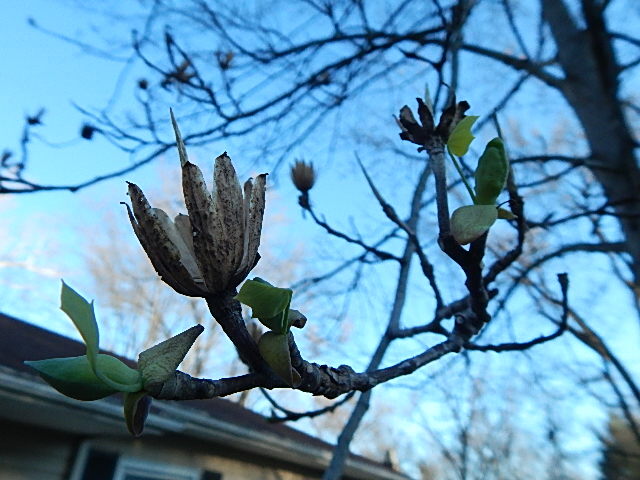 Redbud trees are just starting to bloom, Star magnolias are flowering, the landscape is suddenly punctuated by bright yellow forsythia, and soon the Bradford pears and dogwood trees will be flush with white blooms. I hope you are enjoying your spring and the yard work that accompanies it. 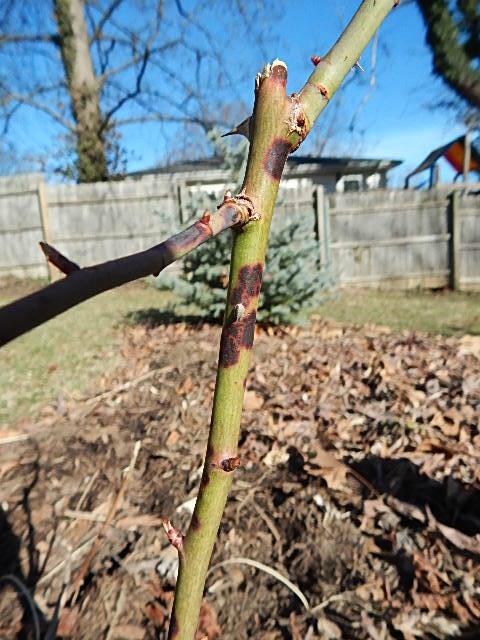 The spots on the rose canes feel flat and are rimmed in red. My morning yard patrol before or after work has started. Coffee cup in hand, I’ve been kicking the leaves aside for signs of new spring life. 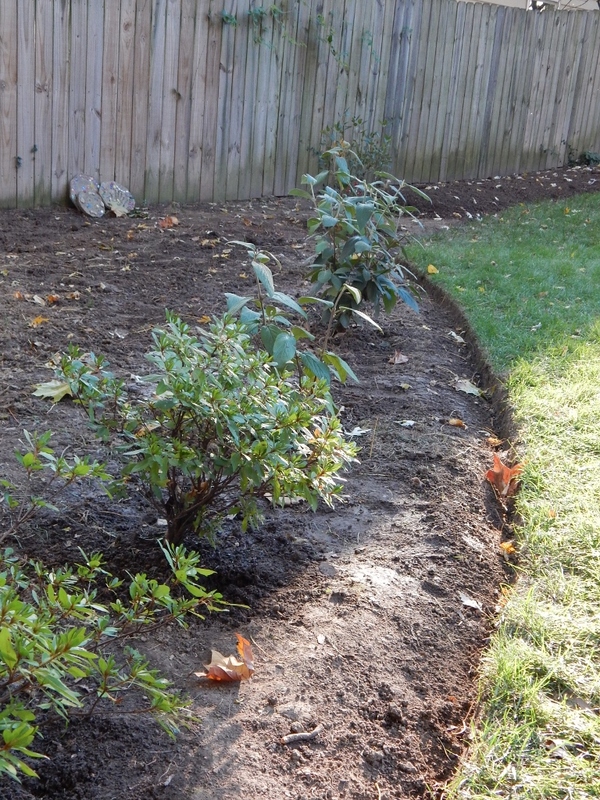 I’m anxious to play in the dirt and start clearing beds and pruning back the roses, hydrangea, grasses and other plants I left alone for winter interest. Low and behold, my roses aren’t looking so good. There are large blackish spots rimmed in red along the canes. One plant seems to be affected the most. Of course I made a quick stop into my favorite nursery to inquire but as dumb luck would have it I forgot to bring my phone which has a picture on it and they were getting ready to close. Maybe one you out there in the blogosphere can tell me what the heck this is. My internet searching has me thinking this might be canker stem spot. But I’m not sure. What I am sure of is that the canes on the roses don’t look so good on the inside either. Their centers are darkish. Any words of wisdom fellow gardeners? 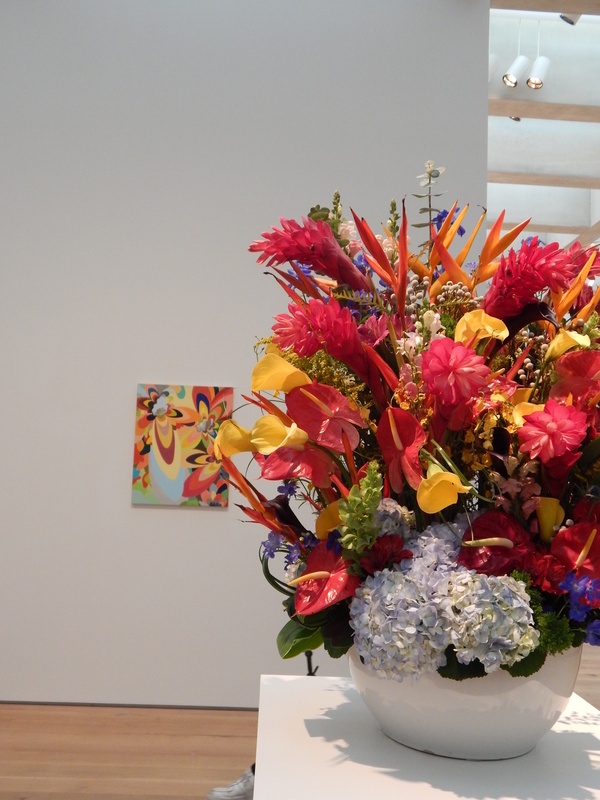 One of my very favorite things to do is attend Art in Bloom, a weekend-only event at the St. Louis Art Museum in which patrons tour the museum to view floral interpretations of various pieces of the museum’s collection. What a brilliant idea! 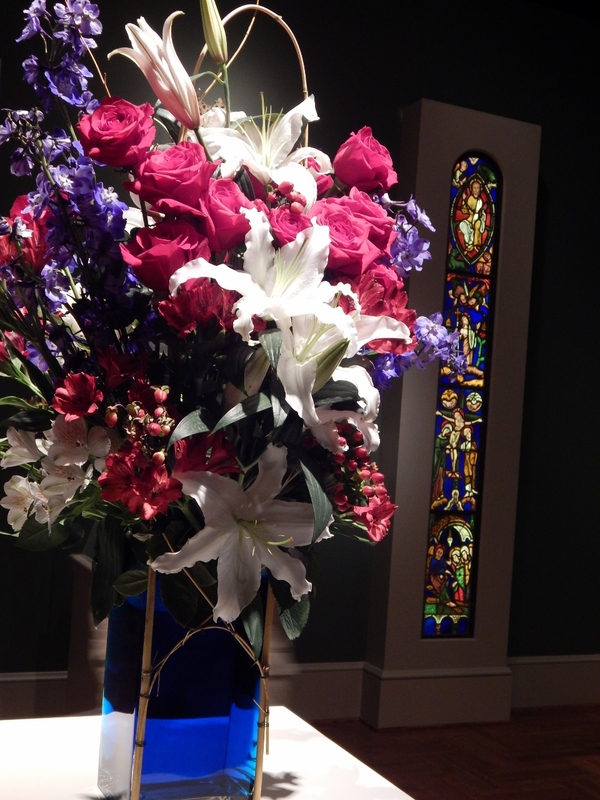 The displays are created by local garden clubs and professional florists. Pieces are scattered throughout the museum so that museum goers may take in the wonderful sampling of the collections. I think there were nearly 60 displays this year. Docents are on hand to explain both the artwork and the display. In some instances the floral designer was on hand sharing his or her personal story of inspiration. There are three types of judging for various categories–a panel of professional judges, the art museum staff and the visitors to the museum. It’s fun to see how the People Choice awards stack up against the pros and the staff. For years my sister Nancy and I–and now my daughters–have spent the day carefully judging the designs on our self-guided tour. We like to score the pieces based on interpretation. Some years when we have lots of time we include color and composition. This year there were so many truly splendid designs it was difficult to pick a favorite. We write our scores in the program booklet and then when the whole thing is over, our feet are aching and backs hurting, we head to Nancy’s house for a glass of wine, put our feet up and go through the booklet defending our votes. We inadvertently left the booklet in one of the restaurants at the museum so I am unfortunately unable to identify all of the artists–floral designer, sculptor, painter, potter, furniture maker. The inspiring artwork is in the background of the photo. I hope you enjoy this armchair tour. White lilies were a central theme to many of the religious works. I loved the vase in this interpretation of the stained glass window. This was one of my very favorites. 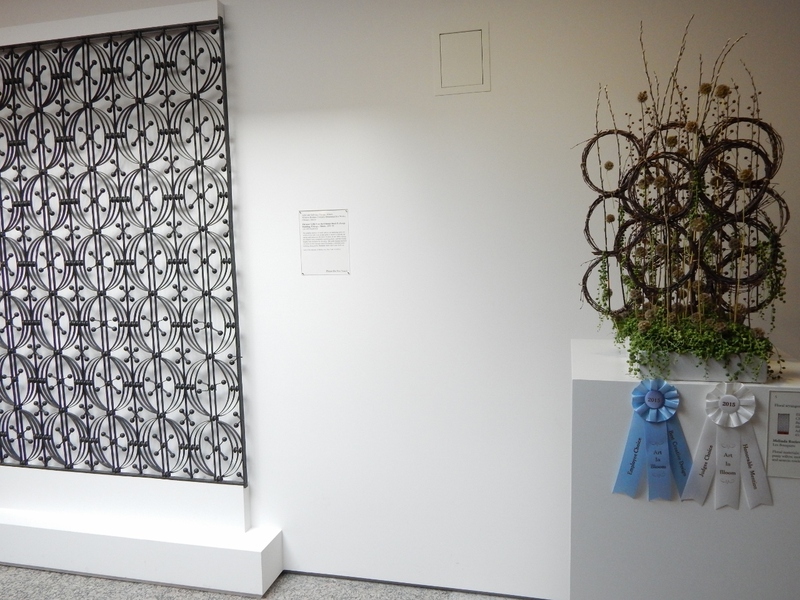 The scrolled panel on the left is ironwork from Chicago. That’s Jane Fonda in the background. The painting also includes her brother and father. 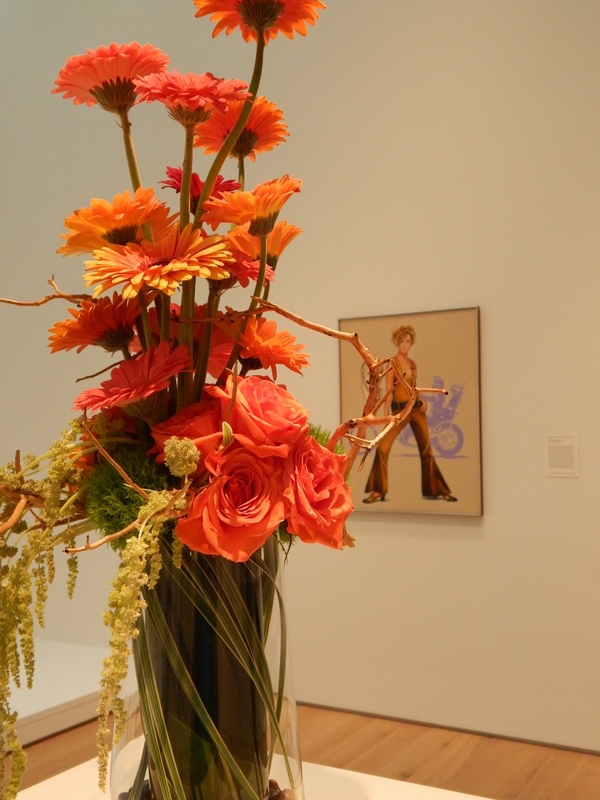 There was a docent on hand describing how the gerbera daisies are indicative of the 70s. The docents were fun the listen to. The stone arches in the background provided inspiration for this piece and lots of conversation among the family judges. This was one of my very favorites. To me, the containers are an important element of the display and the red fluted bowl in this design really made an impact. Very cool. 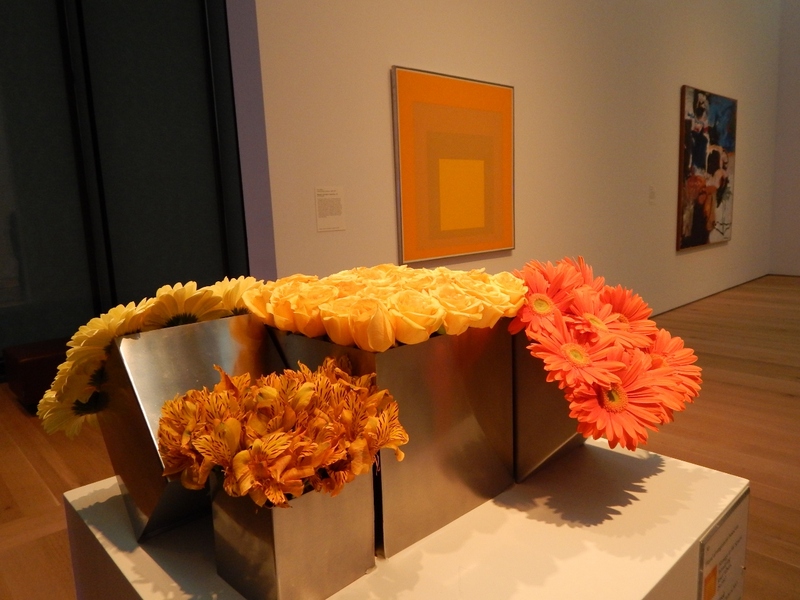 A docent was on hand for this piece and explained the tones of the painting coinciding with the various shades of yellow to orange in the flowers. I liked the square containers which matched the silver frame. 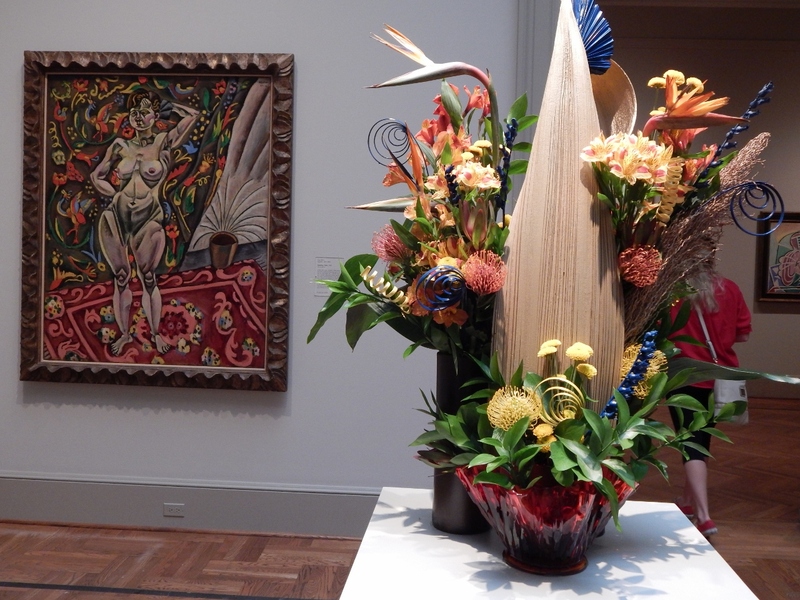 Categories: Inspirations, Musings | Tags: SLAM, St. Louis Art Museum | Permalink. You Blog, But Do You Log? I feel like a kid at Christmas. 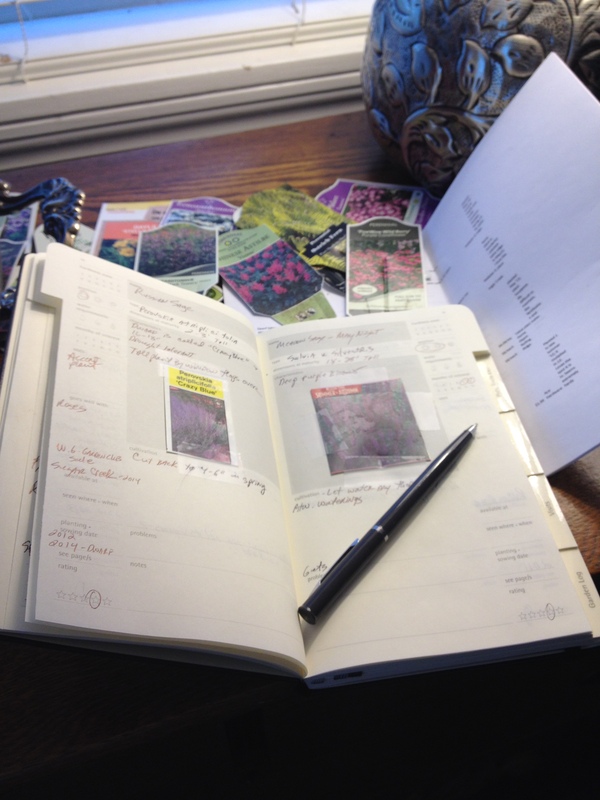 My Garden Journal just arrived in the mail and I’m busily going through its sections and filling it in. As a starting gardener, I underestimated the need to keep track of what I am putting in my small yard. Or maybe as I get older, I’m beginning to respect the benefits of being organized. My gardening organization started simply enough that first year, a hand-written list I took with me to the with to garden centers and plant sales and I kept the plant tags for handy reference the next year–if I could only remember where I put them. Ah, but it quickly morphed into an Excel spreadsheet with column headings for light, placement, characteristics and the other attributes commonly found on the tag. I also used the spreadsheet to keep track of what I might want to put in the yard. (Somewhere along the line, the software I used was updated and the spreadsheet somehow got corrupted and the user experience is lacking for me.) And, then there are the crude drawings of the beds I am planning stuffed into the backs of books and magazines I was reading. You can probably get the drift of my dilemma: disorganized attempts at organization. I am trying the new system, which is a bit more old-fashioned than a computer-generated spreadsheet, but somehow may be more satisfying. I’m cutting and taping the plant tags onto the pages for a visual. I am transferring information from the goofed up spreadsheet, and the journal includes a section for mapping out garden beds. This is a down-time project before the flurry of spring and summer gardening takes me out of the armchair and into the yard. I don’t doubt that I won’t be collecting more plant tags this year, but with my hand-dandy journal there’s a pocket for them. How do you stay organized? Do you have a seed box like Julie at Peonies & Posies? 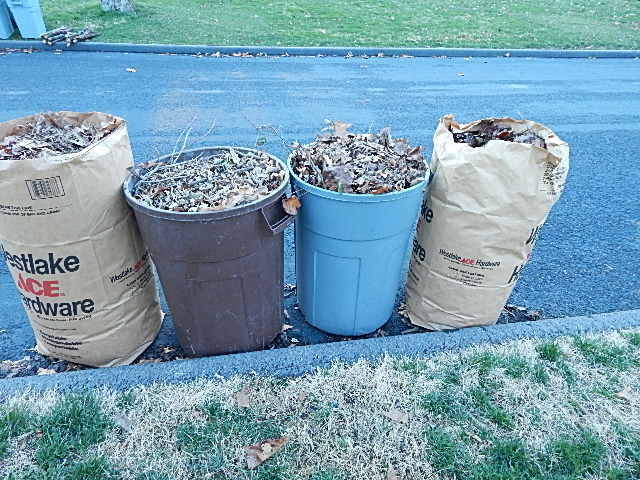 I couldn’t help but wonder what Dee Nash’s organization tips are after reading Red Dirt Ramblings’ starter list of what she intends to plant this year. Beyond the blog, how do you log? 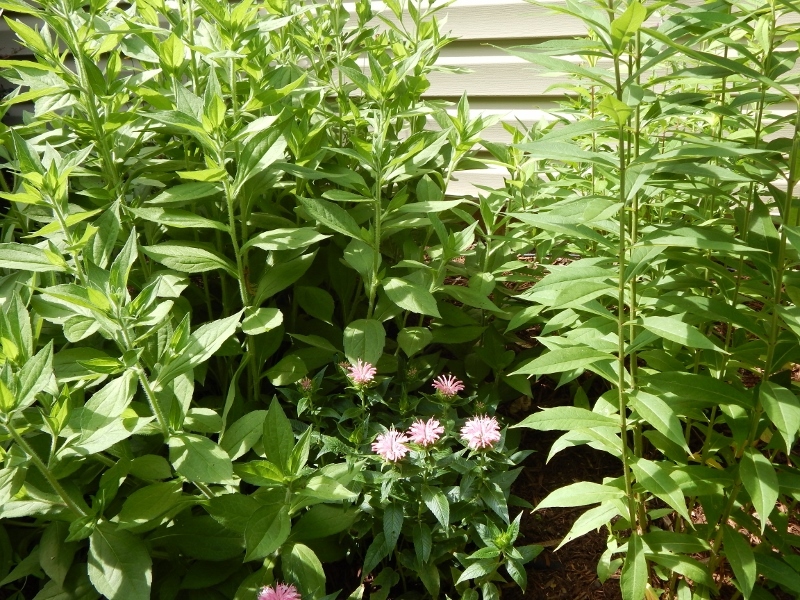 Categories: Musings, Quick Tips | Tags: Garden journal | Permalink.